Just can't see the forest for the trees? 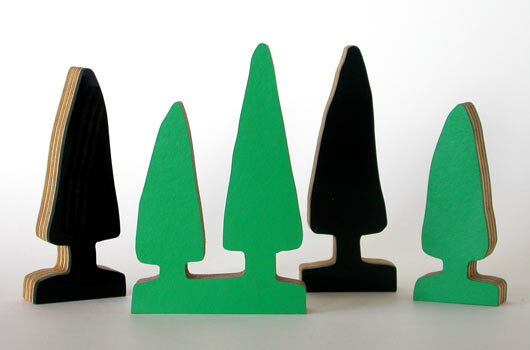 The Flagship trees are cut from timber ply with either green laminex or black acrylic surfaces. Is your forest one that grows or is it burnt and full of shadows?